Moving into a brand new Cornerstone home that’s built just for you, living a low-maintenance lifestyle with time to enjoy your community amenities, and meeting new neighbors that are in the same stage of life as you, can be one of the most rewarding times of your life. So when you begin this exciting new milestone in your life, rest assured that Cornerstone has all the bases covered, starting with that first step of getting your home ready to sell quickly and for top dollar. 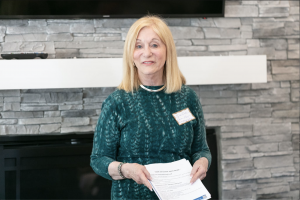 Our Concierge Team Partner, Linda Orban, owner of Home Staging By Linda, is an expert in the art of staging and can share many success stories with you of clients she has worked with over the last ten years. Linda stated that it’s important to stage your home the right way because a buyer’s first impression could make or break a decision. Did you know that 95% of potential buyers see your home in photos online before they see it in person? Good home staging equals the best first impressions! And she understands where the eye goes first, as well as what’s pleasant and positive, and what needs a change. Her motto is to keep it simple. Make sure your home doesn’t feel too personalized, so a buyer can envision making it their very own. 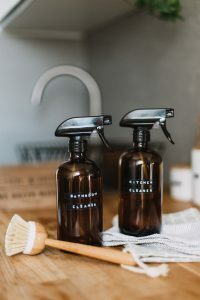 Linda starts by going through every single room in your home to spot the “clutter zones” so she can work with you to declutter and make the space feel open and inviting. 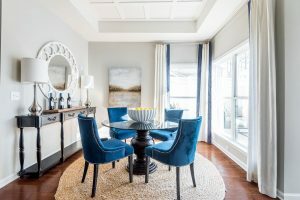 Then she looks for the “quick fixes,” which are small changes that could include, for example, removing old area rugs to show off the hardwood floors, taking off the curtains, changing lampshades, etc. Believe me, it’s a fun process and can help you start thinking of decorating your new home!!! Here are a few easy and inexpensive tips from Linda to get you jump started on your way to a carefree lifestyle!! 1. Boost curb appeal. This is something you always hear, and with very good reason. Many people thinking of touring your home will do a quick drive-by first, often deciding on the spot if it is even worth a look inside. 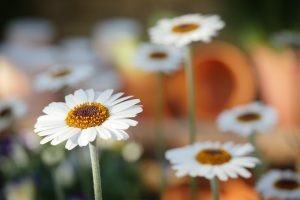 Make sure your home is ready to lure in onlookers with these tips: -Power wash siding and walkways -Hang easy-to-read house numbers -Plant blooming flowers and fresh greenery -Mow the lawn, and reseed or add fresh sod as needed -Wash front windows & repaint/stain the porch floor as needed 2. Welcome visitors with an inviting porch. Make it say “welcome home” with a clean doormat, potted plants in bloom and — if you have room — one or two pieces of neat porch furniture. Keep your porch lights on in the evenings, in case potential buyers drive by. If you are serious about staging your home, all clutter must go, end of story. 5. Style your dining room table. The dining room is often a blind spot in decorating the home. Between dinners, a large dining table can look bare and uninviting, so styling it up with visitors in mind can increase the appeal. Open-house visitors will peek inside your closets. 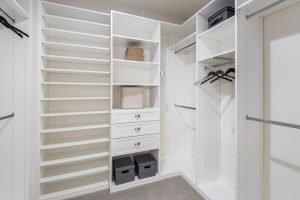 Closet space can be a make-it-or-break-it selling point for buyers, so show yours off to their full advantage by giving excess stuff the heave-ho. Aim to have 20 to 30 percent open space in each closet to give the impression of spaciousness. 8. Create a lifestyle people are looking for. 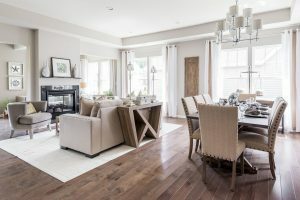 When you’re ready to start your new adventure in a Cornerstone home, Linda Orban will be here to help you set the stage. Our entire Concierge Team is at your service to make achieving your dream lifestyle simple and smooth. 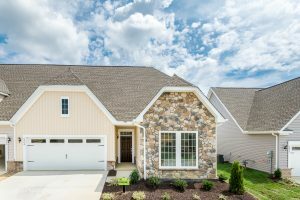 We can’t wait to help you make your move into a Cornerstone Homes community!